Our clients say our breast pump rental, maintenance and purchase option (included in every service package) is a well-planned and convenient addition to their Corporate Lactation program. Whether your company purchased a service package with us or would like to only rent or buy pumps and accessories, the process is quick and easy. Besides, equipment delivery is on us! As a family-friendly Colorado business, you want your valuable employees to feel supported and remain productive at work throughout their family life cycle. When a new parent returns to work after having a baby, many things can overwhelm them, including achieving their breastfeeding goals. Lack of support and physical accommodation at work, may call for premature cessation of breastfeeding. If that happens, parents start feeling guilty about their return to work. Productivity and work satisfaction drop, as the rates of absenteeism, turnover and health care costs soar. By offering your employees place, time and the right equipment to pump breast milk for their babies, you ensure their return to work goes smoothly and requires the least amount of time away from work. √ Click or call 720-588-8891 to reserve pumps. Pumps can be rented or purchased. √ We walk you through the pricing options and answer any questions you may have. √ We deliver pumps to your Colorado business location. Delivery is on us! √ We do equipment maintenance once every two months. √ If the pump stops performing, we troubleshoot. You get a replacement pump fast. What Pumping Equipment Do We Use? We work directly with Medela - the manufacturer of the most acclaimed pumping equipment on the market - to deliver only original pumps and accessories to our clients. We take exceptional pride in our commitment to providing timely service, maintenance and troubleshooting for all our rental equipment. 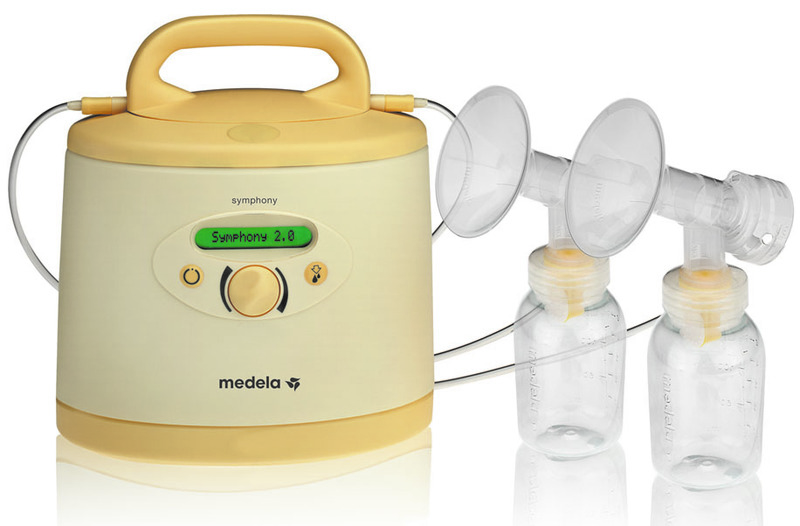 Medela Symphony® Breastpump is our pump of choice. It is a hospital-grade pump, which means it is highly durable and can be safely used by multiple users. It is the first breast pump with 2-Phase Expression® technology that is proven to achieve faster milk ejection and faster milk flow, which translates into less time spent away from work. Besides, when a mom rents a pump for use at home, it most often is Medela Symphony. Having the same pump at work is convenient and enables mom to use her home collection kit at work. No additional learning curve or extra expenses! The original 2-Phase Expression® technology feature enables Medela Symphony to mimic natural nursing pattern of the baby. The pump starts with the light and fast stimulation stage and then switches to the actual expression stage, which is exactly how babies nurse. 2-Phase Expression® technology improves milk let-down and ejection. Medela Symphony is a double electric pump and allows the mom to pump both breasts at the same time. Double pumping cuts pumping time in half! The pump is equipped with a let-down button. When the milk flow slows down, moms can easily return to stimulation phase by pressing the button, which makes milk ejection more efficient and saves time. Moms can adjust intensity and speed of the pump with a knob control, thus creating a customized pumping pattern for their individual physiological needs. Medela Symphony is a hospital grade pump, therefore, it is designed to meet the most stringent hygienic requirements. Pumped milk only comes in contact with the collection kit (sold separately) individual for every mom and never with the pumping mechanism itself, which makes it safe to be used by multiple employees.